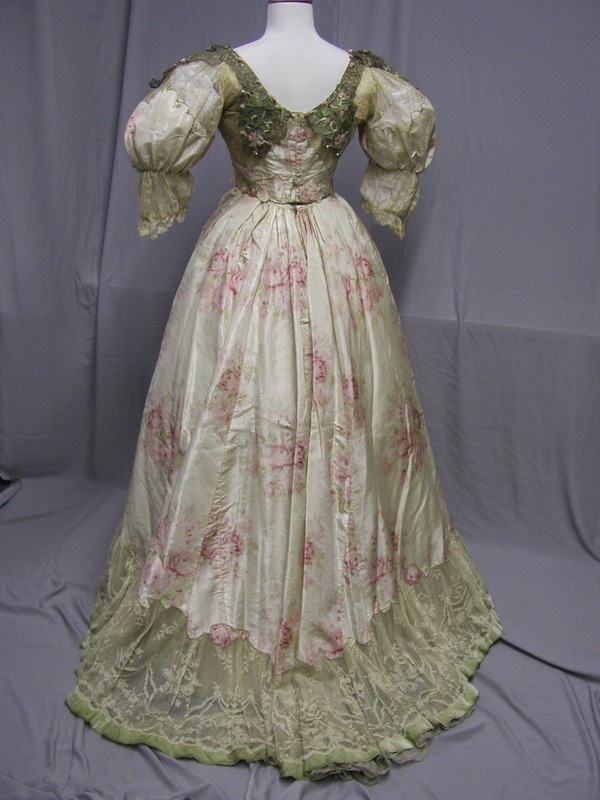 1900 Warped Printed Rose Ribbon Work Silver Lame Lace Ballgown: This dress was created by Mrs Dunstan of New York in the early 1900's. 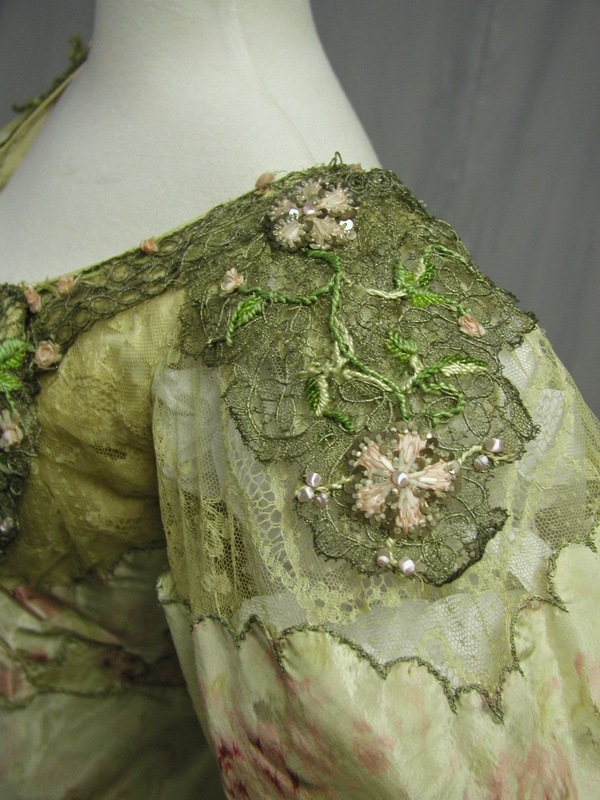 It is made of warped printed silk with ribbon work, chenille flowers with sequin and beaded accents, cotton lace and mint green silk velvet ribbon. Over all, it is simply breathtaking. 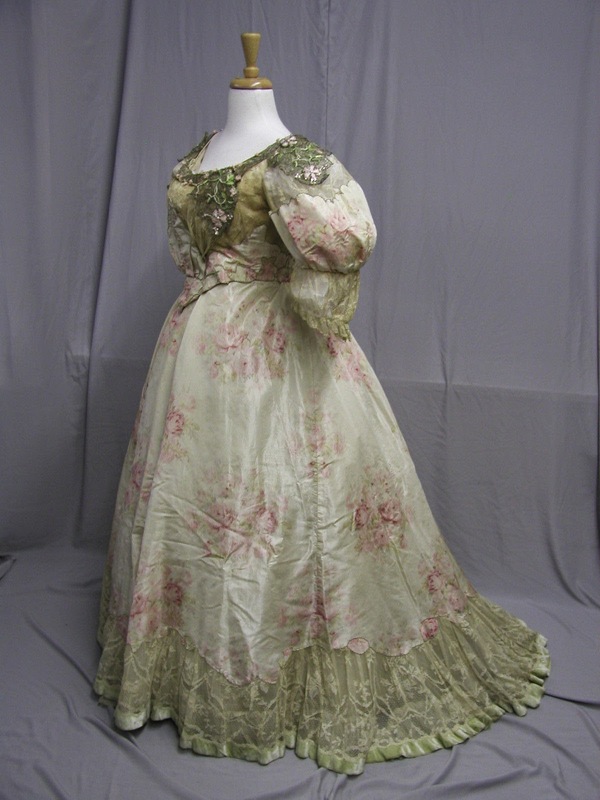 I purchased this dress over 14 years ago and paid 1500.00 for it at that time. I have used it in many exhibitions over the years. 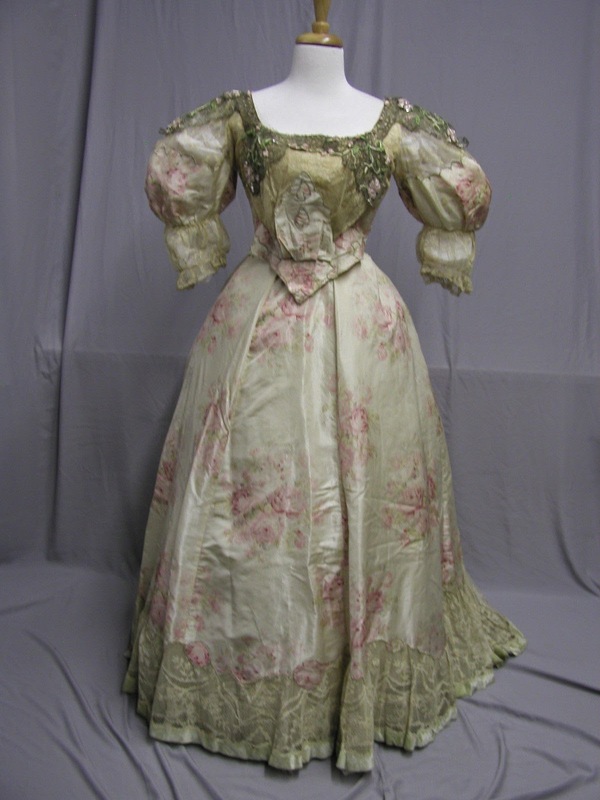 When I had it in Los Angeles at The Vintage Expo Barbara Streisand stopped and visited with me about this dress. She thought the fabric was incredibly lovely. 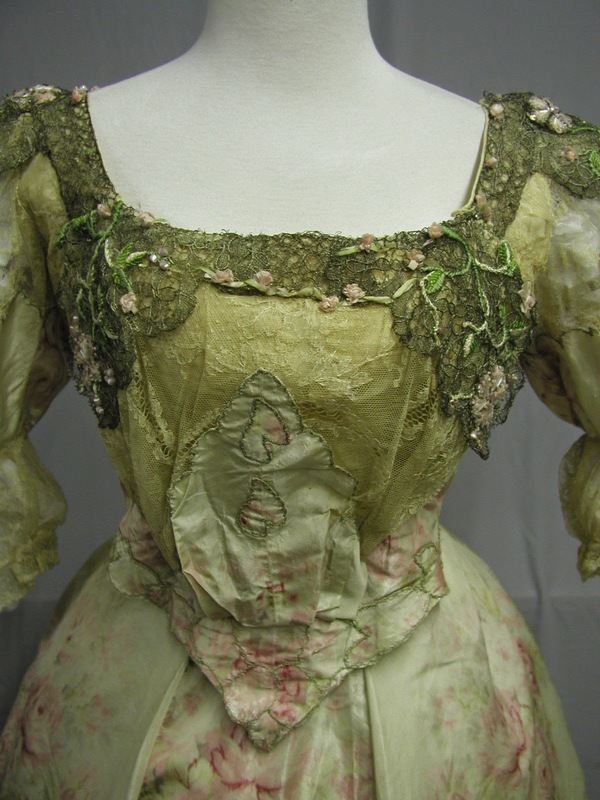 The bodice has a waist of 30 and a bust of 38. 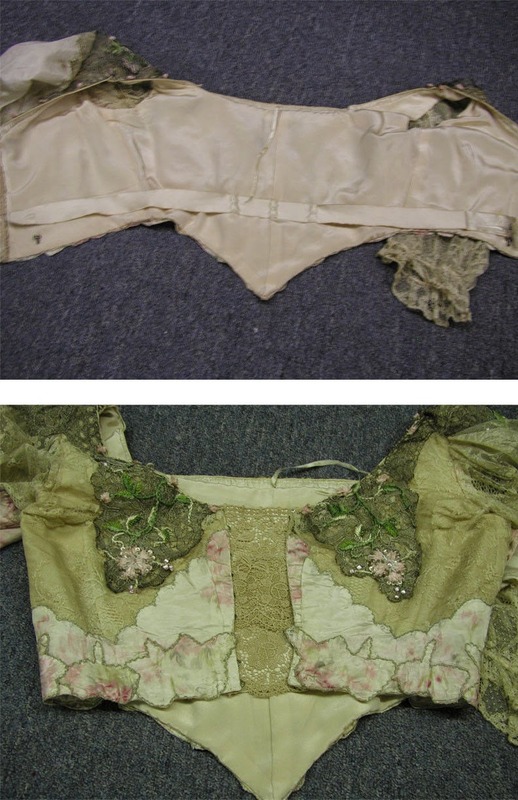 There has been a lace extension put in the back and it makes the bust 41 and the waist 32. See photo. The bodice has been beautifully relined. See photo. 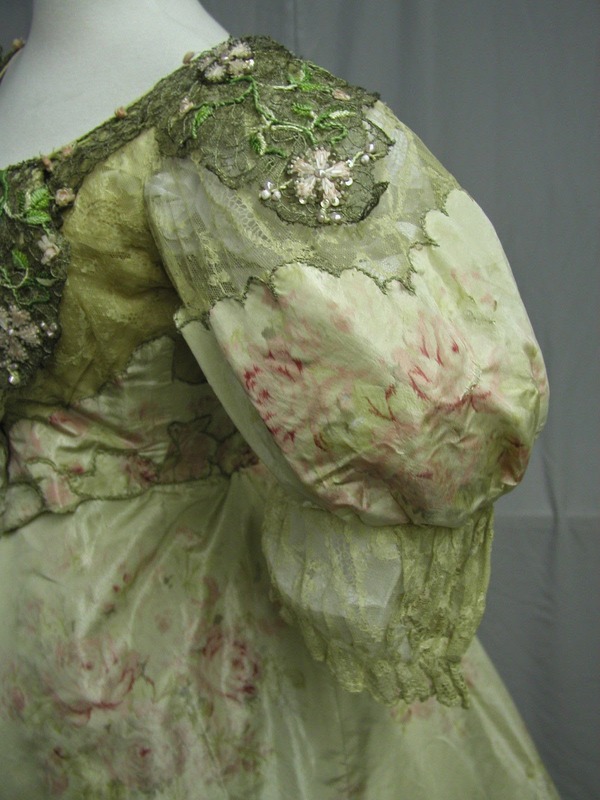 The condition of the bodice is sound, with some spots, some small holes and wear to the watered silk in the back at the waist line. See photo. There is a one inch repair on the sleeve. See photo. The inner silk has started to shatter, but it is not that visible because of the new silk lining. The skirt has a waist of 30 and a length of 42. 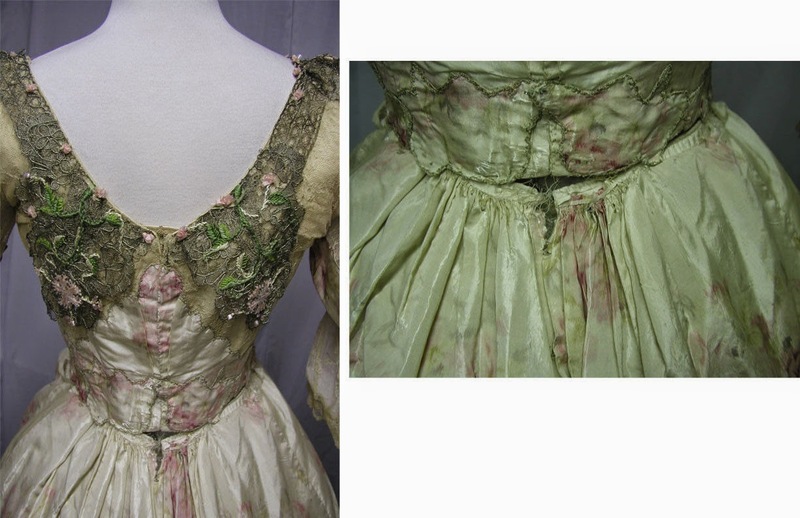 Both the bodice and the skirt are lined. There is some damage up at the top of the skirt at the waist band. It is worn and pulling away from the band. See photos. It could be carefully reinforced and repaired. There are some small holes in the fabric of the skirt. See photos. 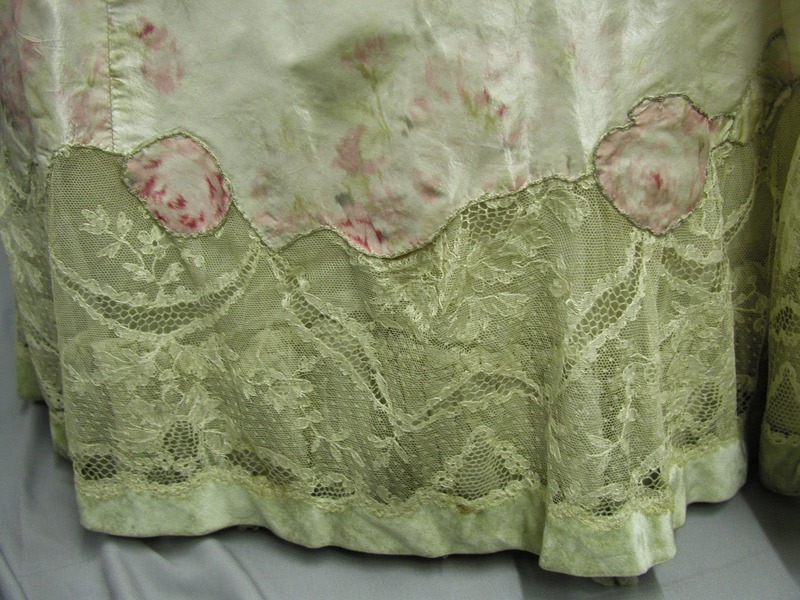 The lace at the bottom of the skirt is trimmed in mint velvet which is dingy from being worn and dragged on the floor. 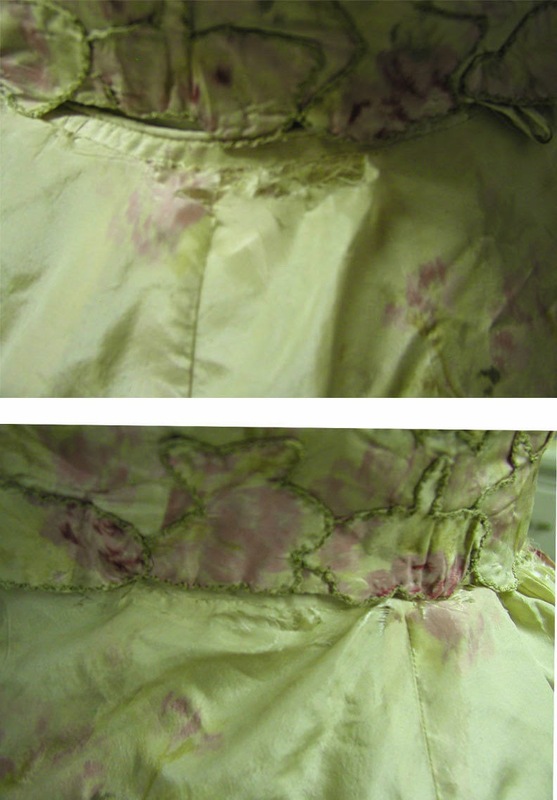 There are rose applique's all around the bottom of the skirt. It is a stunning example of the Perfect American Gibson Girl. Definitely early to mid 1900's. I keep looking at this dress and finding new little details that I love. The slight bits of lace inserts, the way the pigeon front is constructed; this dress is just too cute!